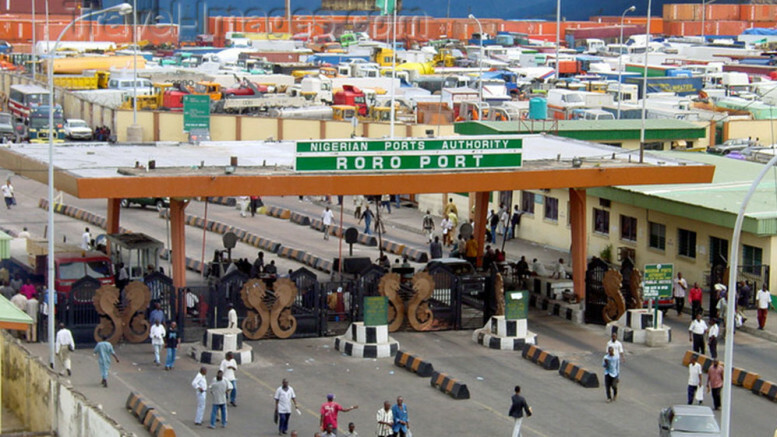 Following the vast oil spillage at the Federal Oceans Terminal, Onne, Rivers State, the Nigerian Ports Authority, has kick-started a clean-up project at the water channel Port. The clean-up, is the first of such exercise being carried out by the personnel of the Environment Department of the Nigerian Ports Authority. Kick-starting the clean-up project at the premises of the Engineering Department, Federal Lighter Terminal, Onne, Suleiman Abdulbaki, General Manager Health Safety Environment, who led the team for the clean-up project, said, part of the activities of the project, is to remove debris from the waters and also, use chemicals to clean the water to ensure an improved water condition in the areas affected. Suleiman also said, although the actual cause of the oil spillage could not be ascertained, the wastes from nearby communities to the water channels and activities of oil bunkers is being suspected. The Suleiman-led Environment Department of the Nigerian Ports Authority, according to Suleiman Abdulbaki, are also to carry out carry out an awareness campaign to enlighten the communities on the need for clean water for an improved health and aquatic life. Also speaking at the kickoff event, the Port Manager, Alhassan Ismaila Abubakar, represented by the Acting Port Manager, Mrs Barbara Ejemeh Nchey-Achukwu, commended the Managing Director of the Nigerian Ports Authority, Hadiza Bala-Usman for the approval of the water clean-up project at the Port. Speaking further, she said the Nigeria Ports Authority is aware of the complaints as a result of the oil spills and through the clean-up project, showing a required duty of care, after which such complaints will be a thing of the past. Also speaking at the event, Khadijat Sheidu-Shabi, the Assistant General Manager, said the Authority is showing commitment by improving the quality of Port water channels. “As an Authority, we are proud to show commitment to improving the navigational water channels within Onne Port”, she stated. Be the first to comment on "NPA Commences Clean-up of Onne Port Water"